There is no memory of ever being in one that was painted. The look was always old wood worn gray by rain, sun and cold. Built for function and not comfort, I remember none that were fancy or adorned in any fashioned. Simple and functional they were placed a good distance from any house for good reason. 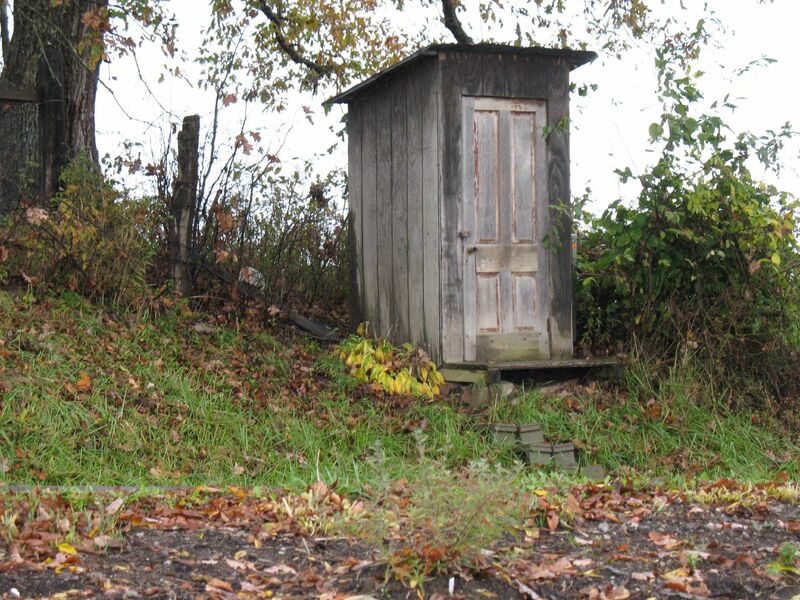 Writing about outhouses to some will make me appear older than my years, but such was life in the rural south when I was growing up. My tenth birthday came and went before I remember living in a house with an indoor toilet. The “shack out back” was all we had. Clear in memory is my parents talking about saving up to have a bathroom installed in the house, but the money always ended up having to go for something else. Potty training was done with me learning to literally sit on “pot” to prepare me to sit on an “adapter” (board with an oval hole in it) that was placed over the bigger hole in the outhouse so a little guy like me would not fall in (a real fear when I was little). Age has a way of making vision backwards cause things to appear either worse or better than they were. For using an outhouse both positive and negative thoughts appear in conflicted memory, but above all I am glad that at least we had that little “shack out back”. And you move with hurried feet! And frostbite on your tail! That AMBIENCE, makes minutes seem hours — PHEEWWW!! The least winsome place on God’s good, green earth! Lungs burst, holding breath for all they’re worth! Hark! Do I hear some more steps on the run?? To not pay you laud would be such a crime! This morning imagining not having an indoor bathroom and having to use a “shack out back” is a very quick way to find simple and humble gratitude on a March 1st winter morning. This entry was posted in Life, Material Things. Bookmark the permalink. That is so true…and probably as a way to hide them… they were nondescript.